By: Kevin M. Cosgrove, CFE – Professional investigators of all specialties utilize a variety of resources today to assist them with gathering relevant facts to attain their respective case objective. Regardless of the tool of choice (i.e. proprietary databases, public record resources, human intelligence, etc. ), eyewitness accounts of a particular person, business practice or event, remain at the forefront to an investigator’s case. Even the most skilled sleuth would agree that obtaining an individual’s first-hand account of a subject matter is the most critical and difficult task to accomplish in our profession. As an investigator with a class action law firm based in New York City which specializes in representing investors and businesses in securities, antitrust, and consumer fraud litigation, the heightened legal pleading standards imposed by the federal courts have resulted in the daunting task of obtaining eyewitness accounts from individuals who may have previously been in a position of knowledge (or worse, participated in the core allegations). Typically, these initial interviews are conducted via telephone without the subject’s prior consent and without any formal court order or subpoena requiring them to cooperate. Successful interviews comes down to building a solid rapport with a potential witness and having them reveal specific facts about the allegations which may be further argued by Counsel down the road of the litigation. Over my desk sits a message which I not only believe, but often end-up relaying onto a potential witness, “Everyday observations by ordinary people can correct injustices.” Regardless of the subject matter, we all can learn something from this statement. It provides us with the understanding that regardless of what we as investigators may find through “normal” channels, our success is often measured in what information we can develop on a particular individual or subject matter which until discovered, has been kept out the public’s eye. Whether conducting a background check on a potential expert or providing due diligence research for a private equity client, witnesses can reveal facts which may have not been previously revealed and/or can direct you to other “stones” to consider checking under. With that said, certain core questions remain, how do we find potential witnesses and more importantly, how do we get them to talk? The first challenge can be accomplished by utilizing various sources (databases, social networks, public records, etc) to identify certain individuals who “may” be a person of interest for your particular objective. Often this initial legwork can be productive and informative as you gather your facts. Once you identify and locate potential “targets” the real challenge commences with not only connecting with these individuals (at an appropriate time), but to convince this individual to trust you enough to provide specific facts based on their own personal observations or experiences of a particular subject matter. Experience has reflected that when attempting to conduct an interview over the phone, you generally have less than three minutes to properly identify yourself to the potential witness, explain who or what you represent, why you need their assistance, and most importantly why they should talk with you. Building a solid rapport is paramount for obtaining enough trust that the person reveals information about potentially unethical or illegal conduct. The task is daunting and timing is everything in some circumstances. For example, did you happen to connect with the witness just after he/she may have received a traffic ticket, had an argument with their spouse, or just got home from work after another stressful day? Chances are slim that this individual will be willing to cooperate at this time. Baring any timing issues or potential conflicts, some individuals may appear intrigued by the inquiry and may possibly commence an immediate discussion with you. Always be wary of the “Can I call you right back” or “I just need to talk with someone before going any further” response as these are generally indicators that the person may be reconsidering their further involvement and cooperation. A suitable counter to this response is to reinforce the importance of their cooperation and help clarify any immediate concerns that the person may have. The most imperative thing to remember is keep the conversation going, since you may not get a second bite of the apple! Experience has also demonstrated that certain potential witnesses may never fully cooperate freely without a court order. We must not view these situations as a complete failure, since we likely just reached a key witness and may have caught a break in the case. The best response to a declining witness is to inform them that although you understand and can appreciate their hesitance with cooperating, the facts known to them may eventually be compelled from them down the road in a more formal setting. No matter what, remain professional, polite and in charge of the conversation. 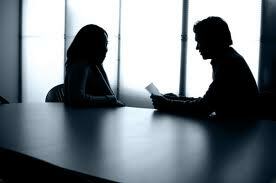 It is important to keep in mind the human element while conducting witness interviews. Despite the subject’s prior employment experiences, suspected observations, or demographics, these individuals carry with them the same concerns, burdens, and responsibilities as all of us. A question to ask yourself is how would you respond if on the other end of that phone? The psychological aspect of achieving trust is paramount towards obtaining relevant facts out of a witness. We must remain aggressive, intrigued and forthcoming while conducting witness interviews, while at the same time, open-minded and sensitive to an individual’s concerns. The more sensitive the subject matter is, the less likely we will find out what we are seeking in a database report. Witness interviews remain a critical instrument to the modern-day investigator’s toolbox. It is up to us on how we use it.